The YLS program is set in Nogojiwanong within the traditional territory of the Mississauga Anishinaabeg and other Indigenous Peoples who have shared this land. This territory is subject to the terms of Treaty 20 and the Williams Treaty. The region is also known as Peterborough Kawartha in southern Ontario. The region includes the First Nation communities of Curve Lake, Hiawatha and Alderville. Our 2019 classroom will be split between Trent University and Peterborough Collegiate. We will have a schedule in place but it will be flexible to respond to learning opportunities on campus and downtown. One of our two classrooms is on the beautiful, green main campus of Trent University, within the School of Education in Otonabee College. The Trent University setting will provide us with access to a rich learning environment in general, and to staff, professors, and events (workshops, conferences, special presentations etc) more specifically. YLS graduates achieving an average of 80% in the two environmental-themed courses will earn the first year credit Foundations of Environmental Science and Studies (ERSC101OH) from Trent University through a “cross articulation” agreement signed between Trent U and the Kawartha Pine Ridge DSB. Our other classroom is set within the beautiful corridors of historic Peterborough Collegiate, within the Peterborough Alternative and Continuing Education program (PACE). This classroom setting gives us easy access to many program-relevant downtown organisations, events, and locations, such as GreenUP, City Hall, the Peterborough Downtown Farmer’s Market and Jacksons Park for example. It also gives us access to regular high school services and facilities such as an auditorium, a kitchen, science labs and a guidance department. We will spend time at Fleming College’s Frost Campus School of Environmental and Natural Resource Sciences (SENRS). SENRS programing focuses on active, outdoor hands-on learning and the Campus has state of the art facilities for teaching programs like ecological restoration, ecosystem management, aquaculture and sustainable agriculture, invasive species control, sustainable waste management, and forestry. Graduates in the college stream of YLS courses will earn the 1st year credit Skills for Stewardship and Sustainability (NATR8) from Fleming College’s School of Environmental and Natural Resource Science (through a second cross articulation agreement). 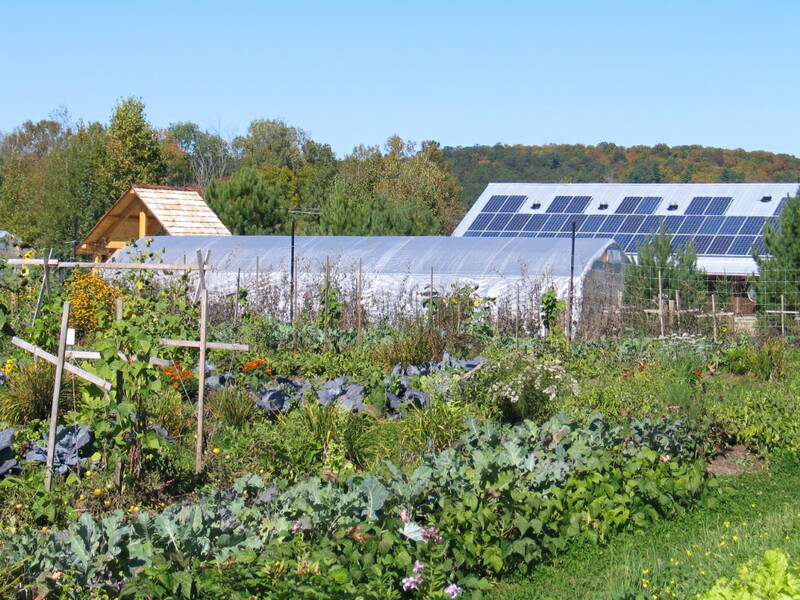 Much of our learning will unfold in the Peterborough/Kawartha/Haliburton community as we take frequent field trips to investigate best practices in sustainable community-based agriculture, renewable energy production, transportation, urban design and more. We will spend time with surrounding First Nations communities, and will travel within the Southern Ontario region for further exploration of best practices. In January of 2017, the Peterborough/Kawartha/Haliburton region was designated by the United Nations University (UNU) as a Regional Centre of Expertise (RCE) for Education for Sustainable Development. The RCE initiative recognizes communities from around the world that demonstrate leadership in addressing complex sustainability challenges, and works to network these communities to support even greater innovation and collaboration. We are only the 3rd such designation in Canada. YLS Project Director Cameron Douglas was part of the interim steering committee that prepared the successful application to the UNU and is very pleased that YLS will will have an opportunity to contribute to and benefit from active participation within this sustainability education network.